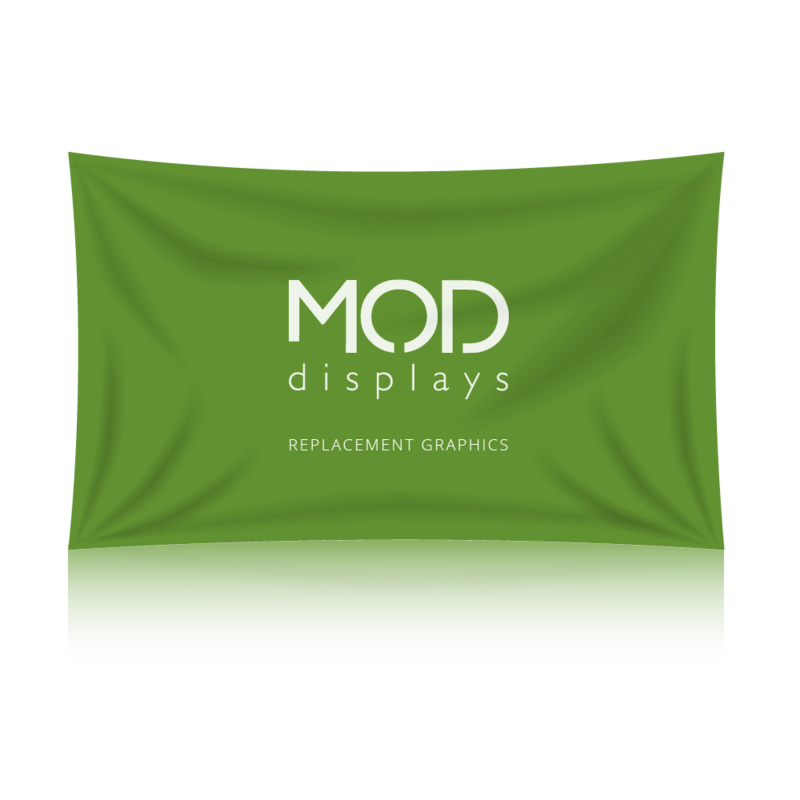 Durable, high quality materials are used on our flags, signs, and banners to create vivid graphics that demand attention, yet stand up to the weather. 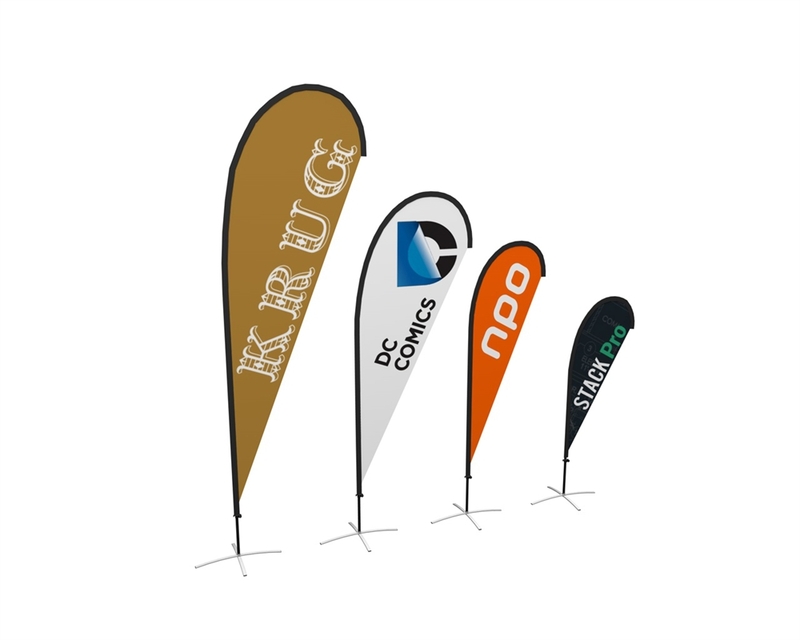 A portable advertising sign measuring 116" x 40" used for a variety of event purposes such as crowd control, space divider, directional signage, branding, and more. 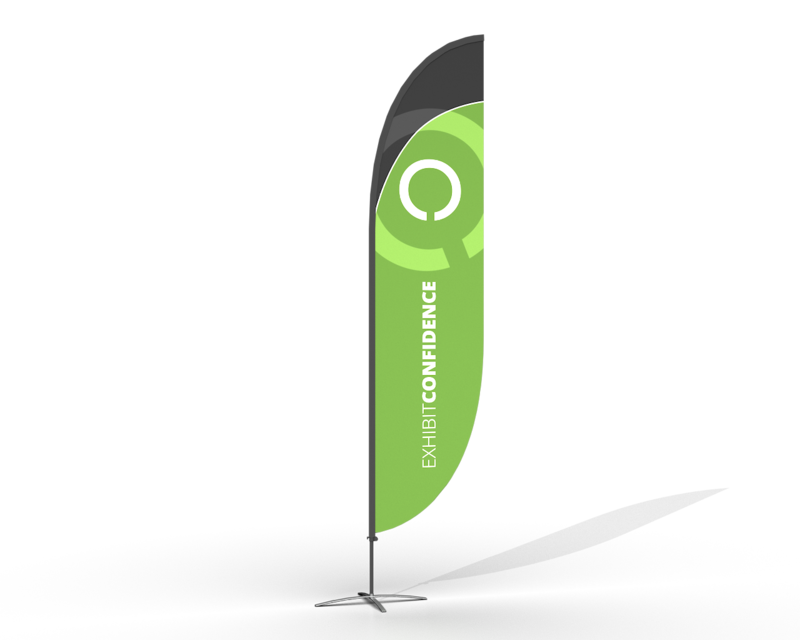 A great option for events, exhibitions, sponsorships and sporting venues. 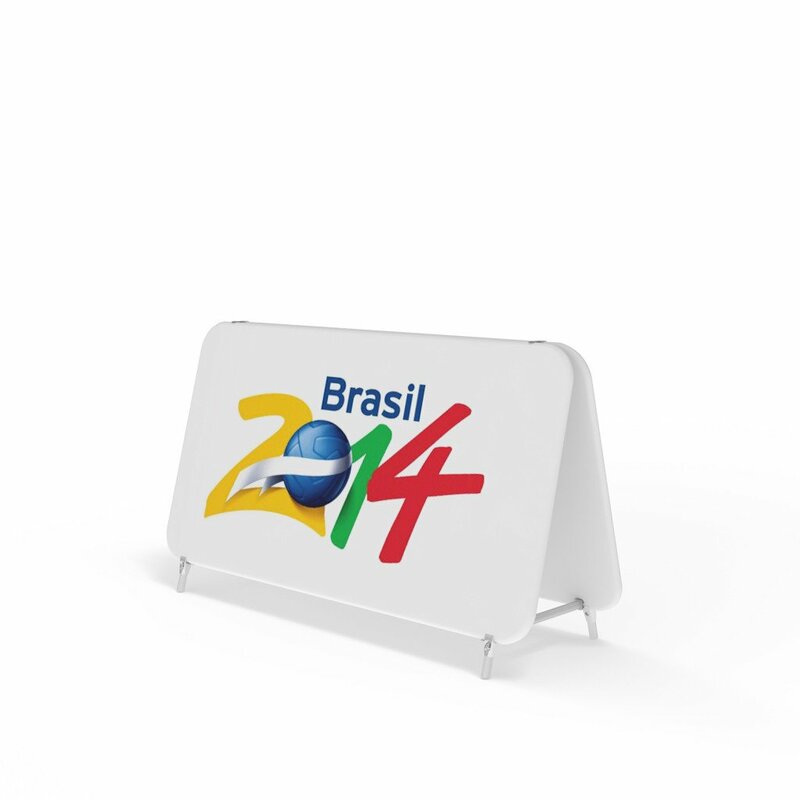 A portable advertising sign used for a variety of event purposes such as crowd control, space divider, directional signage, branding, and more. 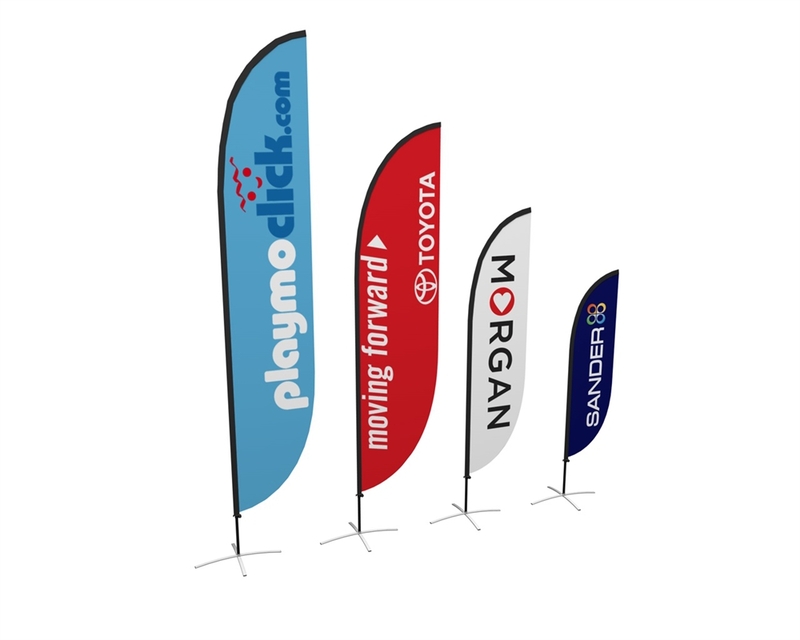 A great option for events, exhibitions, sponsorships and sporting venues. 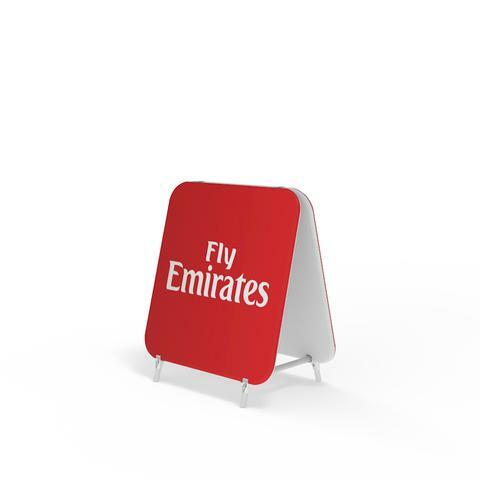 The Outdoor Poster Stand is a portable advertising sign perfect for outdoor use at events, exhibitions or retail environments. 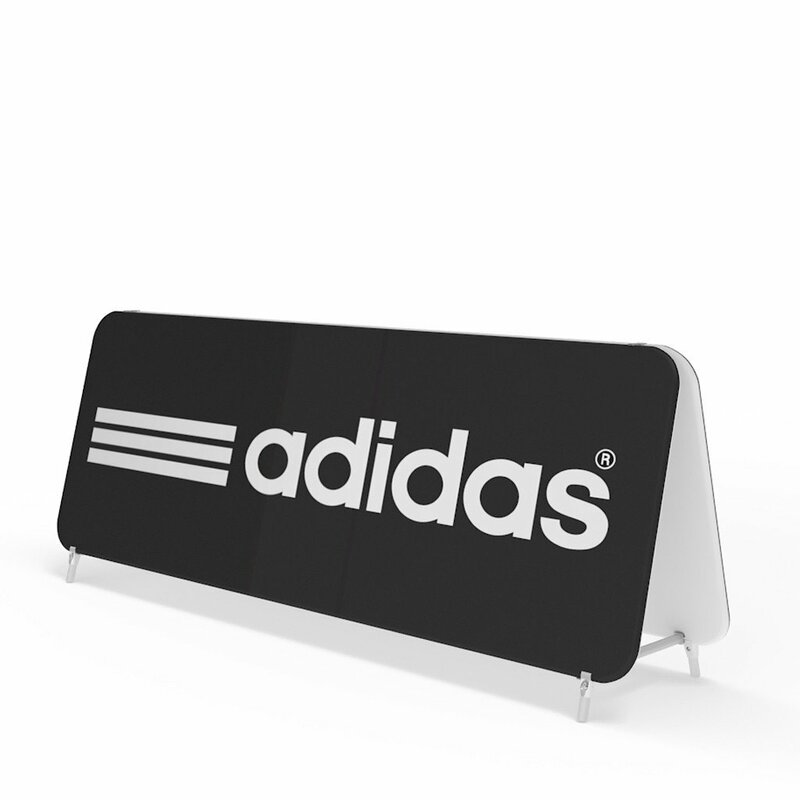 When used as a double-sided sidewalk sign, this outdoor sign is great for attracting customers passing by. 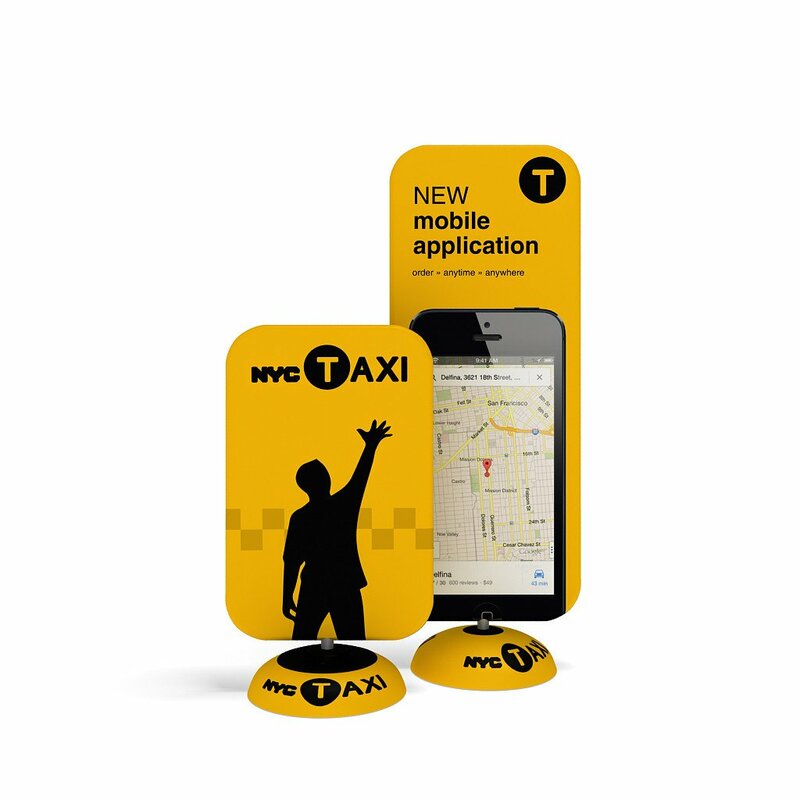 The printed fabric graphic stretches around the 50m aluminum frame which fits into a durable plastic water base. Indoor/outdoor banner with high strength power tabs for hanging featuring 100% light block out opaue vinyl.